Today, corporate profits are at an all-time high and employee wages are at their lowest ever as a percent of GDP.i Worker cooperatives embody the hope that we can reverse the downward spiral in wage stagnation, wealth distribution, and concentration of ownership to build an economy that truly serves people and communities. But what will it really take to create a more cooperative economy? My new white paper Worker Cooperatives: Pathways to Scale, published by The Democracy Collaborative, describes the many benefits of worker cooperatives for their members, for business and for society; explores barriers and success factors in worker co-op development; and proposes strategies for increasing the scale and impact of worker co-ops in the United States. This article, adapted from the paper, summarizes three high-level strategies for scaling up the worker cooperative sector and illustrates the need for capacity building through a story of two cooperatives. Given the current groundswell of interest in cooperatives, organizers of worker cooperatives have a window of opportunity in the United States to propel our sector to the next level. Our national and regional organizations are increasing in their strength and dynamism. In several regions, diverse stakeholders are coming together to explore a variety of pathways to worker ownership, from small and medium-scale cooperative start-ups to conversions of existing businesses, many of which will be changing hands in the years ahead. The next step is to catalyze more investment in co-ops —both human and financial—and to build the infrastructure and capacity needed to create thriving worker-owned businesses in much greater numbers. If we do not act strategically to seize this opportunity, the model’s credibility and growth potential may be diminished. So we must ask ourselves: what needs to happen now that will enable us, twenty years in the future, to say that the transformative potential of the cooperative model has been substantially realized in the United States? That worker ownership is normal rather than niche? That living and working conditions in many communities are measurably better thanks to the felt presence of cooperatives and worker-owned businesses? We must start by recognizing where we are today. The worker co-op sector has many strengths including staying power, deep commitment, and lots of new initiatives sprouting up around the country. Its growth has been hindered, however, by numerous cultural and capacity barriers and by the lack of a clear, coordinated strategy for growth. Many in the worker co-op movement promote the model as a way to democratize and transform the economy. But attempts to seriously analyze the challenges facing our sector and to work together toward larger scale change are still modest. To address the gap between our current capacity and our aspirations, the cooperative movement and its allies need breakthroughs in three areas: ecosystem development, field-building strategy at the systems level, and capacity building for individual enterprises and co-op development initiatives. Ecosystem development. Significant growth in the worker co-op sector will require systems change, specifically the development of a friendlier ecosystem for the start-up, development and growth of worker co-ops. In today’s culture of U.S. entrepreneurship, it is widely understood that the context in which businesses develop is key to their success. For cooperatives, the most important changes in the near term are to increase the patient capital available to worker cooperatives and co-op development initiatives (grants, loans, and equity) and to infuse these efforts with business expertise and proven co-op development strategies. Over the medium term, we need to identify and pursue a policy agenda based on the highest potential opportunities, and to integrate the worker co-op model into the existing economic development infrastructure. And ultimately, we must include curricula about cooperatives in education at all levels, especially economics classes and business schools, so that co-ops become a normal option to consider when shaping economic policy and forming or selling businesses. Field-building strategy. Effective field building will require critical analysis, thriving communities of practice to build upon lessons learned, coordinated strategy development, and new alliances. Although the do-it-yourself ethos has many benefits for cooperatives (and is part of their essence), it can limit pursuit of outside expertise and cross-sector collaboration. To build the field of worker co-op development, movement leaders will need to forge new partnerships, including some that may be uncomfortable or unfamiliar. Larger co-op sectors, unions, ESOPs, benefit corporations, foundations, local anchor institutions, social enterprise leaders, and economic development entities are all examples of emerging and potential allies that could bring new resources, expertise, and business opportunities. Failing smart means learning not only from one’s own mistakes, but also from those of others – in other words, building on lessons learned and effective practices in the field. For co-op developers, designing for success means having skilled business leaders, trainers, and managers, and sufficient resources to make long-term commitments to the co-ops they help create. My perspective on these success factors comes from my work over twenty years with a variety of worker and farmer cooperatives, especially those connected to WAGES (Women’s Action to Gain Economic Security), the Evergreen Co-ops, and Equal Exchange. During eight years at WAGES, I interacted with several co-ops outside our network that struggled for lack of business acumen and failed to achieve their goals. 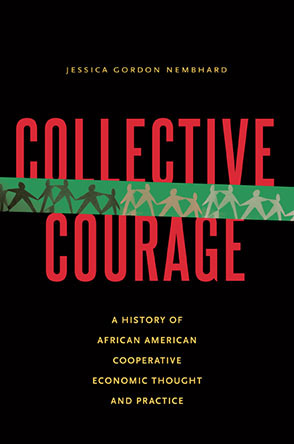 The five co-ops in the WAGES network all thrived to varying degrees, but the level of business and job growth correlated very closely with six success factors that I write about in Worker Cooperatives: Pathways to Scale—ongoing training and cultivation of cooperative culture; design for business success; effective long-term support; patient capital; strong management and social entrepreneurial leadership; and good governance. The following tale of two co-ops shows the difference that key success factors made for two successful cooperatives developed by WAGES. The punch line? WAGES’ oldest surviving cleaning co-op took ten years to reach $1 million in annual sales, while the largest, founded five years later, hit the million dollar milestone in half that time. The similarities and differences between these sister co-ops are highly instructive: The profile of the worker-owners, their initial training, and the prospective client base of these co-ops positioned them for success in both cases. Worker-owners were passionately engaged in making their businesses succeed, and they did! Many of the women in both co-ops are now primary breadwinners for their families, working just one job instead of two, and nearly all have increased their skills, their time with family, and their general wellbeing. The newer co-op, however, grew faster and more sustainably, creating jobs with co-ownership and health benefits for more women, while the older one experienced more conflict and plateaued its growth within a few years. Three key factors facilitated the newer co-op’s success: 1) an experienced manager who provided day-to-day leadership and optimized operational efficiency to increase workers’ earnings; 2) outside board members who brought leadership, business, and organizational development expertise; and 3) sustained guidance and training from WAGES for five years. Of course, the story of these two cooperatives is richer and more complex than this brief narrative, but the impact of the success factors is clear. The thirty-five worker-owners of Natural Home Cleaning, the fast-growing younger co-op, have increased their family incomes (the metric most indicative of family economic status) by 70–80 percent on average, within one to two years of joining the cooperative. With better pay, robust profit sharing and health benefits, they have moved beyond the instability and indignities of low-wage work in the U.S. The question then becomes, what will it take for more co-ops to create this kind of measurable impact in workers’ lives? I believe that this kind of tactical change – built business by business, job by job – is how worker cooperatives can drive the broader vision of a more just and sustainable world. Among other things, we must create a pipeline of skilled co-op managers, board members and co-op developers from both within and outside the cooperative movement. For example, expanding the variety of sources for patient capital can provide resources to hire and retain skilled managers; co-op education in business schools and relationship building with like-minded business leaders can widen the pool of potential managers and board members with experience growing businesses; and high quality leadership development programs for co-op developers and members can generate strong candidates from within our cooperatives. In New York City, Philadelphia, the San Francisco Bay Area, western North Carolina and other regions, co-op advocates are coming together to partner with diverse allies to grow the cooperative movement. Regional efforts such as these are the building blocks for national work that could eventually facilitate scale in our worker cooperative movement. As one example, Project Equity, the organization I recently co-founded, is one of six partner organizations collaborating to create a Bay Area Blueprint for Increasing Worker Ownership in our local economy. Together with the Sustainable Economies Law Center, the East Bay Community Law Center’s Green Collar Communities Clinic, the U.S. Federation of Worker Cooperatives, the Sustainable Business Alliance and our local community college, we are leading a yearlong process to pilot a Bay Area Co-op Academy and explore business opportunities for larger worker cooperatives and co-op conversions. By bringing together allies from government, education, and the nonprofit sector, the Blueprint approach creates a robust ecosystem to support both the supply of and demand for worker-owned businesses. Our resulting Blueprint will sketch out campaigns and programs that will enable the Bay Area to reach a tipping point where worker ownership is easier to explore and implement. In ten or twenty years, a robust worker co-op sector at the national level could include hundreds more large or fast-growing worker co-ops. Regions with clusters of worker co-ops today could reach a tipping point at which co-ops, ESOPs, and other mission-driven businesses support each other’s success, and the economic development infrastructure encourages cooperative and community ownership in its many forms. Strong local economies like these will be the building blocks of a healthier national economy, in which communities begin to regain their economic self-determination, and wealth is shared among all who work hard to create it. i. Robert Reich, “The Year of the Great Redistribution,” Nation of Change, January 5, 2014, available at http://www.nationofchange.org/year-great-redistribution-1388931380, accessed February 11, 2014. Hilary Abell is co-founder of Project Equity, a new organization whose mission is to build scalable cooperative businesses and create local entrepreneurial ecosystems that increase worker ownership. Hilary led WAGES from 2003-2011 and was a worker-owner at Equal Exchange in the 1990s. As a consultant since 2011, she has worked with cooperatives including Opportunity Threads and the Evergreen Cooperatives. Her white paper Worker Cooperatives: Pathways to Scale was published by The Democracy Collaborative in June 2014.